“An Evening with…” is an ongoing series at the Los Angeles County Museum of Art (LACMA) held at the Bing Theater in conjunction with Film Independent. After a screening of one of Kaling’s Hulu episodes of “The Mindy Project,” she sat down for a conversation with film critic Elvis Mitchell. The talk followed a screening of the mid-season finale of “The Mindy Project,” Season 4, Episode 13, entitled “When Mindy Met Danny.” The episode is a flashback that recalls Mindy’s first day at Schulman and Associates, where she meets her soon-to-be love interest Danny — but far from love at first sight, their polarizing personalities clash as Mindy tries to prove her worth and Danny plans to get rid of her. The episode is bookended by a very real relationship choice — whether Mindy should give up her career and stay home to have more children while Danny works. Mindy must make a choice, amid Danny’s hints and pestering, with Mindy reluctantly making a decision that ends the episode on a melancholy tone. After the screening, Kaling and Mitchell took the stage, sharing a bottle of wine as they discussed Mindy’s appreciation of the classic sitcom “Wings,” her fangirl tangents on Quentin Tarantino and how “The Office” co-star BJ Novak once fell asleep on Albert Albee at a play. But the most insightful moments included those where she talked about her program and the liberty she has on Hulu, her status as a minority and the frustration that comes with screenwriting. This freedom has allowed Kaling the liberty to make a more dynamic program that is unrestricted, allowing for her to tread ground that was perhaps not possible under a major network which adheres to a strict paradigm, both in expectations of content and time constraints. On writing, Kaling spoke about looking over notes for scripts on “The Mindy Project” and still feeling “blind panic” and pressure to impress, despite having written 24 episodes of “The Office” — a blind panic to which aspiring screenwriters can definitely relate. It was refreshing to hear a writer in the business share her feelings about the process, illustrating the difficulties and stress of writing for the screen even if you’ve been doing it for years. “The Mindy Project” Season 4 is currently running on Hulu. 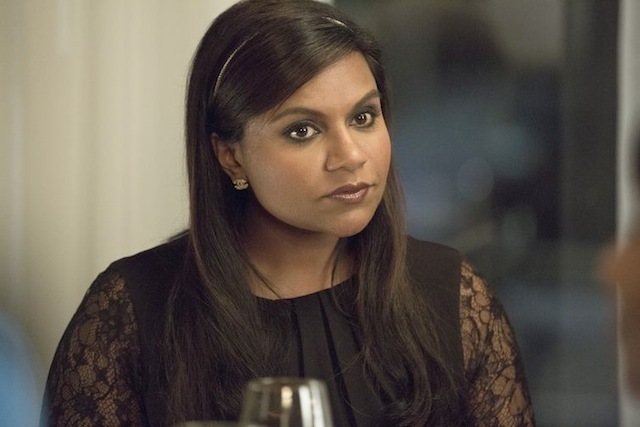 READ MORE: Is Saving ‘The Mindy Project’ What Hulu Needs to Do to Take On Netflix?